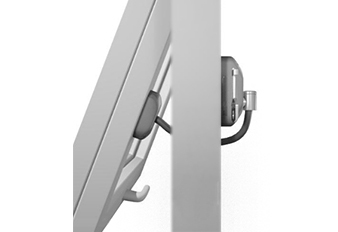 Locking cable window restrictors enable natural ventilation without introducing safety / security risks for children. Tested to EN 13126-5 : 2011 + A1 : 2014. Installs to PVC, aluminium, wooden and metal profile windows and doors. Window can be fully opened by unlocking the restrictor cable. Resistant to oxidation and corrosion. Supplied as a kit with all fittings and instructions. Limits window opening to under 100mm. A window restrictor protects babies and children from accidental falls via windows or balcony doors opened to allow natural ventilation. It also acts as a security measure to deter opportunist intruders and to restrict what can be passed via the window / door gap. This model can be used on all types of windows and doors including uPVC, aluminium, wooden and metal profiles. The locked cable restricts window opening to under 100mm but, when unlocked, the window can be fully opened making this restrictor suitable for use on doors and windows that may be used for fire evacuation purposes. The locked restrictor withstands forces over 100kg ( 220 lbs. / 15 stone / 980Nm): the industry standard is 50kg. Tested to EN 13126-5 : 2011 + A1 : 2014. It is robust, durable and easy to fit and supplied with all required fittings plus instructions. Locking system and key resistant to oxidation and corrosion - made of a zinc alloy cast body and a nickel plated pin. Astro Window Restrictor kit available in White or Brown finishes.